In British Columbia wildlife abounds — from eagles and otters to whales and seals, the province offers plenty of locations for nature lovers to see spectacular animals in their natural habitats. Protected lands and water cover 15 percent of BC’s land base with a wide range of provincial parks, national parks and UNESCO World Heritage Sites (many within minutes of major cities) for visitors to explore the outdoors. In BC, wildlife seekers don’t need to go far to find a deep connection to nature. It’s no wonder that the province is home to many talented nature photographers and is a bucket-list destination (easily accessed direct from Seattle via the Victoria Clipper ferry) for avid amateurs looking to hone their skills and capture their wildlife encounters. 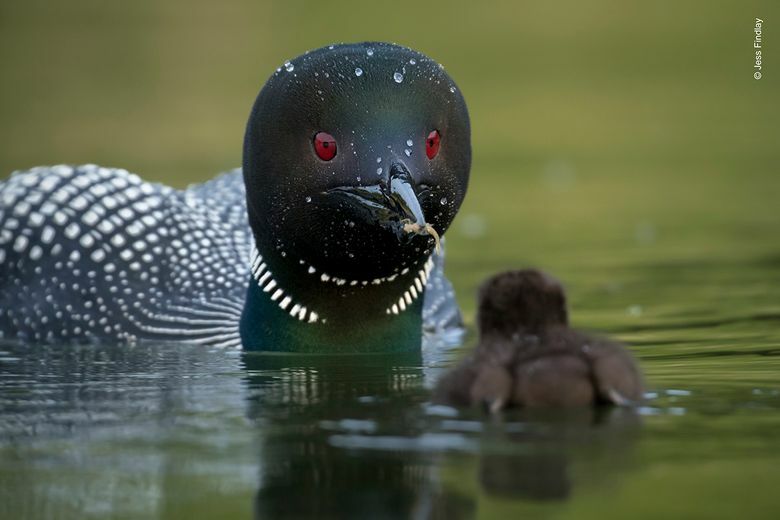 To find out more about what it takes to shoot great nature photos like a pro we sought out some pro tips and suggestions from BC-based photographer Jess Findlay. Featured for the second time in the internationally renowned Wildlife Photographer of the Year competition, and a finalist in the prestigious competition in 2014, Findlay’s work artistically documents living creatures and dramatic landscapes. How do you go about finding wildlife to photograph? To me, one of the most enjoyable and gratifying aspects of wildlife photography is the time spent learning about a given species in the lead-up to capturing the photos themselves. Developing a deep understanding of facets such as habitat and food requirements, behavioral patterns and movements within the landscape has enhanced not only my images but more importantly my overall experience in the outdoors. Take the time to research your subjects before going out into the field, and do your best to develop the patience and humility to know that you’ll very well come back with empty memory cards more times than you may care to admit — the end result will be that much sweeter. Is there a “best” time of day to shoot wildlife imagery? Dawn and dusk not only generally coincide with the highest levels of wildlife activity, they also offer up the best lighting. Low-angle golden sunlight or moody twilight atmosphere can add a lot to a wildlife photo! What essential equipment do you need to capture great nature shots? While I’m of the opinion that when it comes to making great images, gear is far less important than time spent learning your subjects, there are a few critical pieces of gear I’d recommend to anyone. I’ve long been a proponent of using a sturdy tripod. Even with the sophisticated stabilization found in today’s lenses, the difference is almost always noticeable. Apart from photography-specific equipment, I’d recommend investing in quality outdoor gear such as rain gear, solid footwear and a practical bag to carry gear with room for food and other necessary items. The more comfortable and prepared you are, the more time you’ll want to spend outdoors and the more awesome moments you’ll experience and capture! If you can only afford one lens, what is a good range for a telephoto lens to capture nature photos? With the advent of relatively lightweight “superzoom” telephoto lenses such as a 150-600mm lens, it’s becoming easier to capture a wide range of scenes and subject matter with a single piece of gear, without a big compromise in image quality. These are particularly useful for those who want to simplify and go lightweight, or for those starting to become more serious but have yet to specialize in any one facet of nature photography. Should you Photoshop your pictures? Editing pictures is a subject of much debate within the photographic community. Ultimately, it comes down to personal style and ethics, as well as what you plan on doing with the image. My own personal ethic has long been doing as much as I can within the camera to mitigate the need to “fix” things in post. My normal process within Photoshop is to make subtle tweaks to color, contrast and sharpness to more accurately represent the scene to my viewers. Finding your way in this important aspect of photography is just another part of the creativity and fun. You can see Findlay’s highly commended image as part of the Wildlife Photographer of the Year exhibition at the Royal BC Museum in Victoria, BC from February 15 — March 24, 2019. Featuring images taken by professional and amateur photographers from all over the world — some as young as 10 years old! 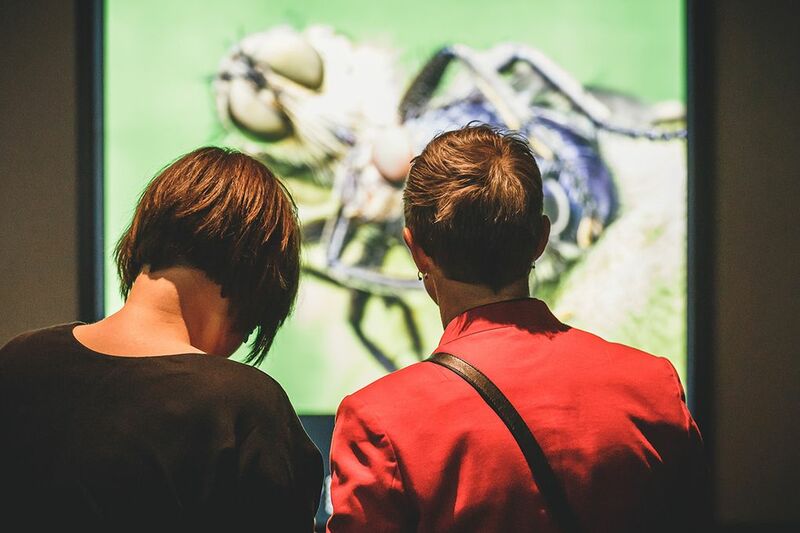 — the exhibition shines a spotlight on the natural world and the impact of human activity on animal habitats. Now in its 54th year, judges had the tough task of selecting the top 100 images from more than 50,000 global entries to be part of this international exhibit. 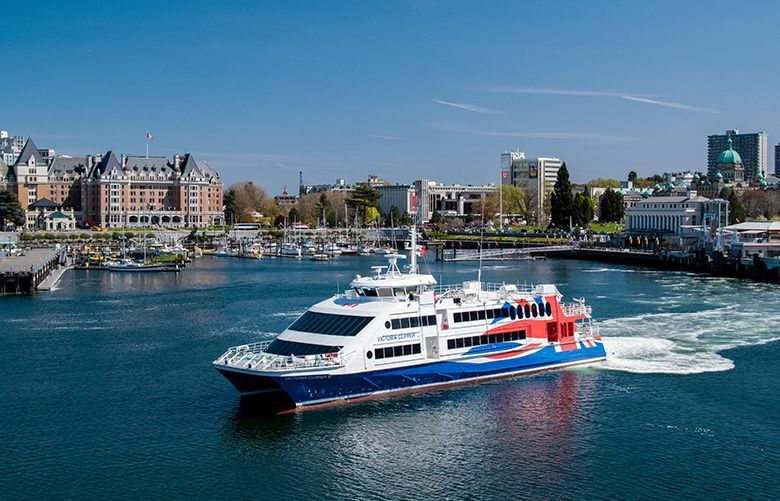 The Victoria Clipper V provides a fast and scenic ride to downtown Victoria. Visitors from Seattle can easily hop aboard the Victoria Clipper ferry to reach the Royal BC Museum in Victoria, BC to see the exhibition. Enjoy a scenic three-hour ferry ride from downtown Seattle, taking in the beautiful views of Puget Sound and Strait of Juan de Fuca before arriving in downtown Victoria’s Inner Harbour, steps from the Royal BC Museum. The Royal BC Museum is one of Canada’s cultural treasures. The museum’s collections, research and presentations tell the stories of British Columbia in ways that enlighten, stimulate and inspire. Wildlife Photographer of the Year exhibition: Feb. 15 — March 24, 2019.